We are now located in the Ina/Thornydale area. It is a great location with easy access to the highway, and for across town travel on Thornydale/River. We want to be sure that you know, we are still serving Tucson and the surrounding communities. 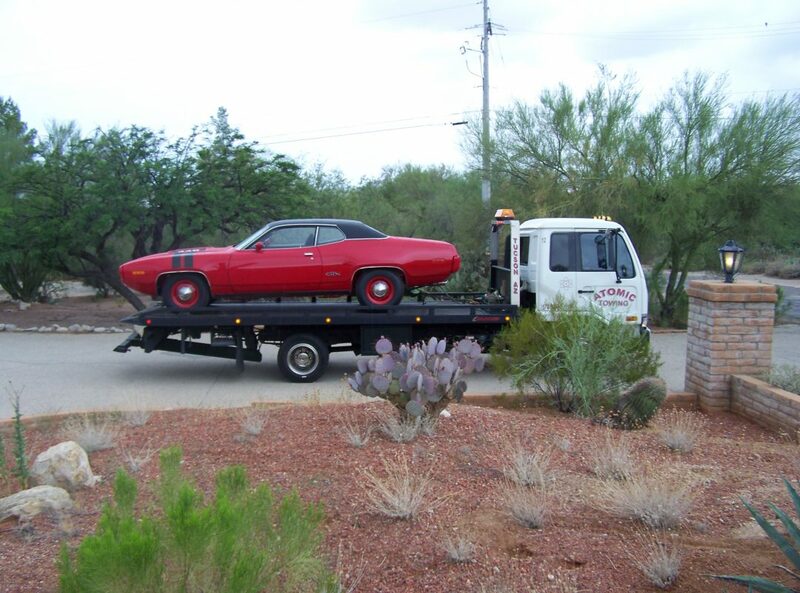 As always, when you call to set up a tow, we will provide you an estimate of cost and of how long it will take us to get to you. We know how frustrating it is to be stuck on the side of the road, and how dangerous it can be. If you are stuck in a spot that will take us more than 30-45 minutes to get you, we will notify you of other companies that might be closer to your location and may have a faster response time for you. Please know, this does not mean we do not want to serve you. Your safety is our biggest concern, and if another service can reach you faster, we would rather see you safely on your way than waiting in a dangerous situation for a far away driver. With that said, if the companies that may be closer to you have an extensive wait-time, we’d be happy to help get you on your way. Questions are always welcome, so do not hesitate to call: 520-578-5956 any time. Since our last post, we have had the pleasure of moving a very large, 6,000 lbs. CT machine. We were going to share pictures, but it was pretty well wrapped, and it just looked like a giant cardboard box. We’ve also moved a couple of golf carts from the back of a big rig (called a bed-transfer), and delivered to the customer. We also had a late 60s Porsche that we had to maneuver out of a tight garage space from an odd angle in a tight driveway. That was a real success that my family was able to watch. It took a bit longer than a normal pick-up would, but the challenge of angles and the success of getting that beautiful car up on the bed made for a wonderful day. We are grateful to be a part of the Tucson community, and glad to be a service to all of you. We wish you all a safe entrance to the holiday season. Thank you for allowing us to continue serving you. Previous: Previous post: What Can We Haul? Next: Next post: Storing A Vehicle?